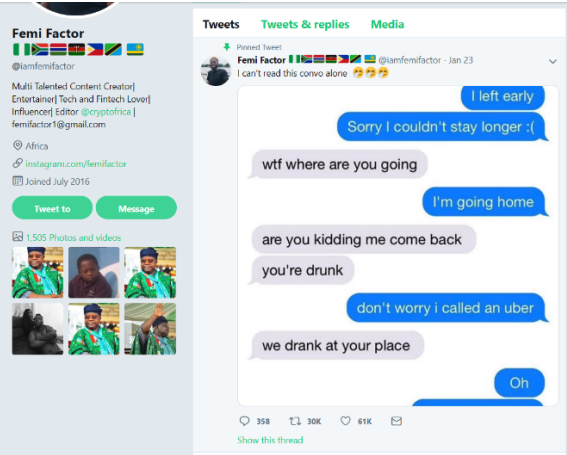 FuckJerry and Jerry Media's legal team said Olorunfemi Coker, also known as @iamFemiFactor on Twitter, had no legal claim to the meme to begin with. The Twitter user who claimed FuckJerry, Jerry Media, and their owner, Elliot Tebele, stole one of his original memes for a tequila promotion has dropped his copyright infringement lawsuit, court records show. The plaintiff, Olorunfemi Coker, also known as @iamFemiFactor on Twitter, dropped his lawsuit on Friday, just three days after filing the complaint in New York's Southern District Court. 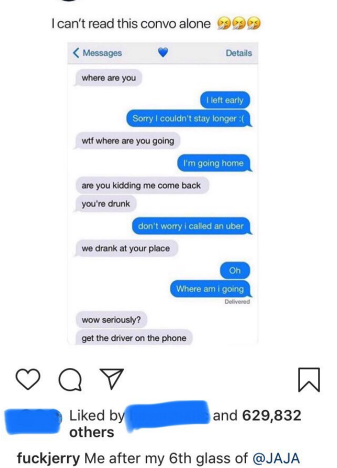 The lawsuit alleged FuckJerry's Instagram account used his original joke about someone being so drunk they don't know they're already home without attributing or obtaining credit, and instead tagged Tebele's alcohol company Jaja in the post for promotion. Coker had sought $150,000 in monetary damages. "We are pleased to see that this lawsuit has been dismissed,” he said. "Our own investigation has revealed that Mr. Coker was almost certainly not the original creator of the subject content described in the complaint and thus he had no standing to bring such a suit at all." Halperin said his clients are now considering their own legal actions, "including for defamation." "If and when there are any future lawsuits, Jerry Media intends to defend itself vigorously," the company's news release stated.